Working abroad appears glamorous, fun, and could get you a lot of money, but this could also lead to loneliness and a gamut of problems, especially when you get sick. Living far away from home, often with no relatives and good friends nearby, many overseas Filipino workers (OFWs) often spend their days alone at the hospital. Quite a number attempt to escape because they fear they could not pay for their bills or because they just feel so lonely and homesick that they wish to go back home even though they are sick. Olivia Ranopa Garcia recently shared a video of a fellow OFW who had been working in Kota Kinabalu in Sabah, Malaysia. 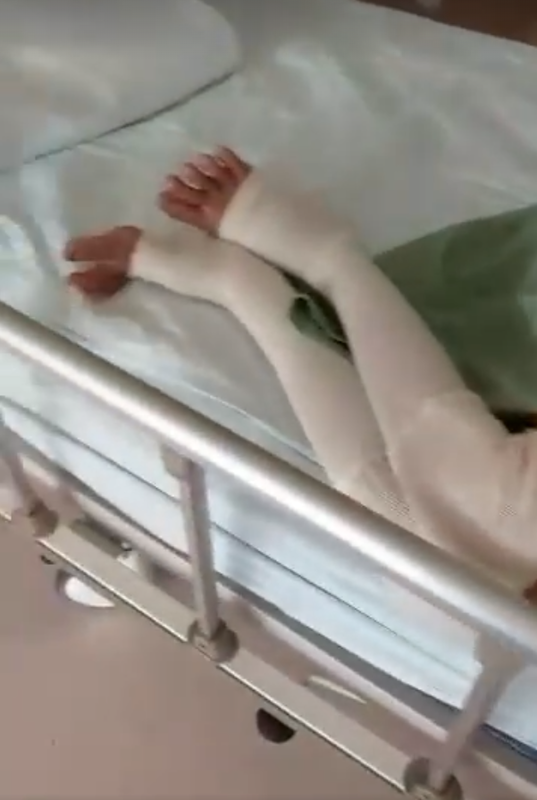 The poor woman is currently confined at the hospital but had to be tied to the hospital bed. 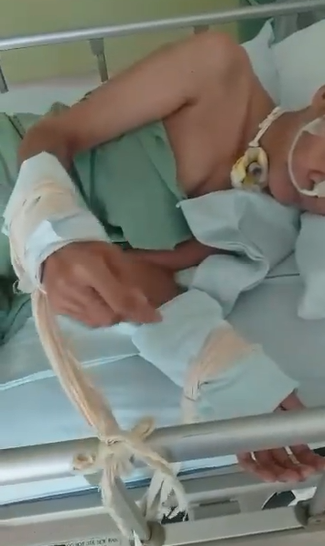 It was believed that the woman had to be tied because she either tries to remove the medical stuff attached to her body or she tried to escape. Sadly, it could be both. 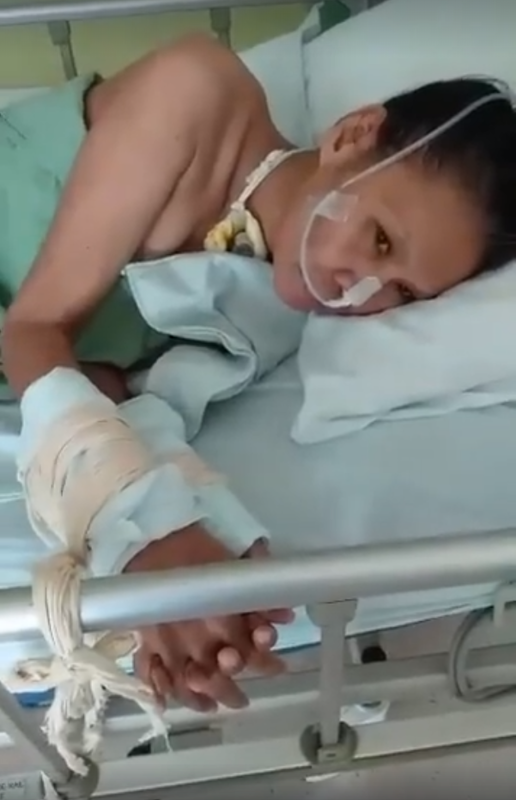 According to Garcia’s post, the said OFW could not talk and her illness was not known as the video was sent to her inbox by someone who hoped she could help spread the word about the woman’s plight. The OFW hopes the video would reach Raffy Tulfo or that a family member might discover the clip and find help from Tulfo to repatriate the OFW or have someone visit her in Malaysia. Garcia identified the woman as a certain Ainna Nuhun; though it was unknown where the OFW is from and what happened before she was taken to the hospital.